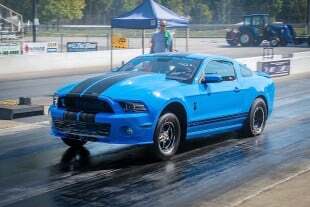 The 2019 National Mustang Racers Association (NMRA) series began in Bradenton, Florida, on March 1. Sondra Leslie of Crown Point, Indiana, was there and ready for battle. Leslie’s 1985 Vortech-supercharged MPR Racing Engines-powered Fox-body dominated the Limited Street field throughout the majority of the weekend. At the conclusion of the weekend, Leslie would find herself in the finals. 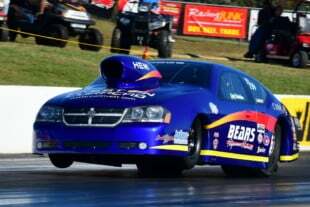 Through the first two rounds of qualifying, Leslie was the only racer in the field running into the 8-second range (a 8.90 pass at 155.52 to be exact), before Michael Ciborowski joined her there in the third round. The two would go head to head in Round Four – the final round – where Ciborowski would get the jump at the tree by a hundredth and top her 8.844 pass with his own 8.841. 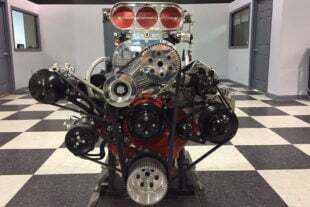 Prior to Leslie’s incredibly successful weekend in Bradenton, her Fox-body has run a best pass of 8.57 at 160 mph, and she is confident that the coming NMRA Atlanta race in April will be one for the books. As for Vortech, well they’re very happy to have Leslie on their side. Leslie’s Fox features a Vortech V-2 Ti Supercharger with an Air-to-Air Charge Cooler. The unit features a 3.6:1 internal step-up ratio and uses helical cut gears. 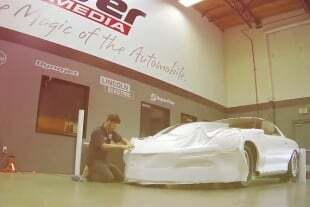 It is capable of up to 950 horsepower on modified vehicles, with a superior 75% peak efficiency. Vortech says it has a maximum boost rating of 26 psi, and is ideal for the latest generation of improved breathing, high-power street and strip engines. Leslie’s car also features Vortech’s Maxflow BV-57 Valve. On the flip side, Leslie knows that her continued success is a team effort. You can catch Sondra and her Fox-body at any one of NMRA’s races this season – she plans to be at each and every one of the remaining five events. She is also shooting to be at Mod Nationals, Haltech World Cup Finals, and No Mercy in September.